The Mohawk, or Akwesasne, people are a Native American (First Nations) people located in northern New York approximately 200 miles north of Albany. Their reservation, Saint Regis Mohawk Reservation, is bisected by the border between the United States and Canada and by the great Saint Lawrence River. From east to west, it’s approximately equal distance between Montreal and Ottawa. There are several other sister Mohawk communities throughout Quebec and Ontario provinces. Many Mohawk are still conversant in their mother tongue. 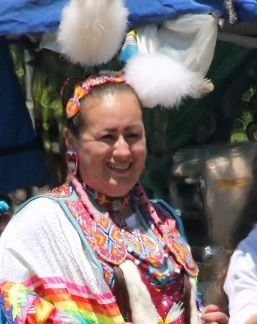 Moreover, to maintain their unique Mohawk identity, they host, or support, a number of annual events, such as the Akwesasne International Powwow, Ironworkers Festival, and Akwesasne Winter Carnival. Culturally, they are a matrilineal society and follow the clan of the mother. Their creation story describes the descent of Otsitsison (Mature Flower), also called Sky Woman. Her journey to this world is the root of all female life. She brought the earth and seeds from where she came and laid the foundation that all Creation is dependent. Some Mohawk still practice traditional beliefs. Others claim Christianity as their religious adherence but many are nominal Christians. Pray God will work via dreams and other means in the hearts and lives of Mohawk people to reveal the need for a personal relationship with Jesus Christ. Pray Christians will intentionally encounter and engage both in word and deed the Mohawk people with a contextualized message of Jesus Christ.